Last night at a packed church in Forest Park Southeast, Drury Development presented a proposal to build a new hotel at the intersection of Kingshighway and Highway 40. 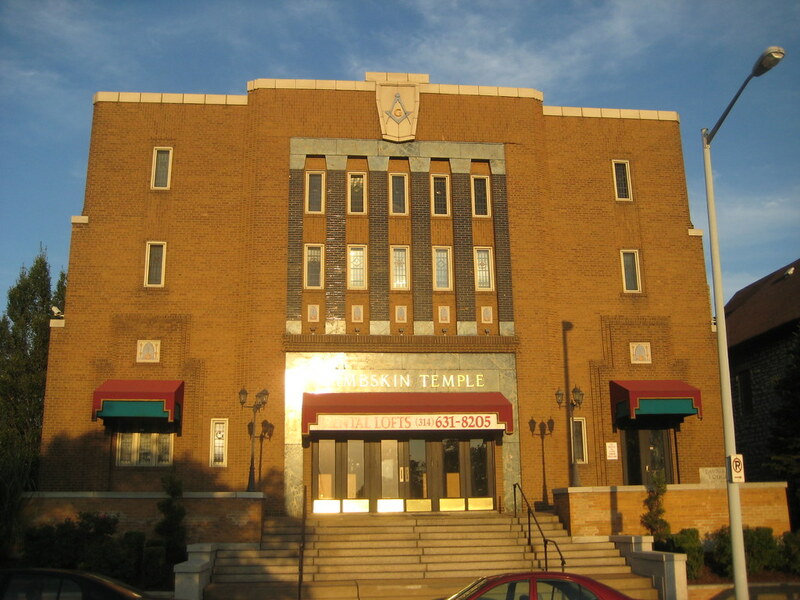 In contrast to what was reported in the West End Word last week, the Lambskin Temple would not be demolished for the hotel. Most of the development land would come from surplus land that is leftover from reconfiguration of the 40/Kingshighway interchange. A spokesperson from MODOT was on hand and confirmed that they are in the process of seeing determining how the land would be decommissioned. She did say that they have agreed to return a triangular piece of land back to the City that was originally part of Forest Park prior to realignment of Kingshighway. 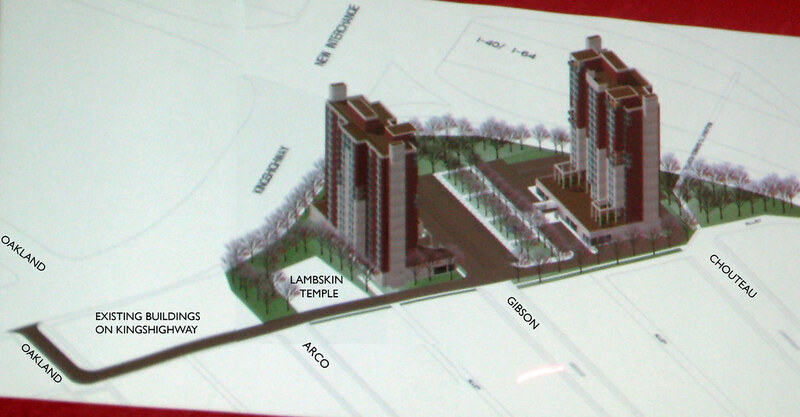 The proposal presented last night calls for two 16 story towers each containing 345 rooms. The east tower closer to the highway would be built first, then if it is successful and there is additional market demand, the second tower would be built. A three level below grade garage would contain most of the parking, although the site plan appears to contain some surface parking. Someone threw out a number that the total development could be around a $100 million investment. Charles Drury stated that this would be the finest hotel of their holdings. He said that there would be a mix of room rates and levels from those affordable to families with children, to rooms that would "beat any Ritz Carlton". Unfortunately to access the hotel, five to seven homes would be acquired and demolished in order to widen an existing alley behind the Lambskin Temple and other buildings along Kingshighway. The new access road would enter at the recently closed intersection of Oakland on the east side of Kingshighway. Drury said they would be fine with an access point directly into the front of the property from Kingshighway, but doubted that MODOT or the City would want that so close to the new interchange. This is something they should pursue further and could avoid demolition of homes. The other issue with the access plan is that currently the neighborhood is closed off from Kingshighway, and apparently likes it that way, as many residents expressed that they did not want the through traffic. The issue then is how to handle circulation at the ends of the streets if they are blocked off from the new road. 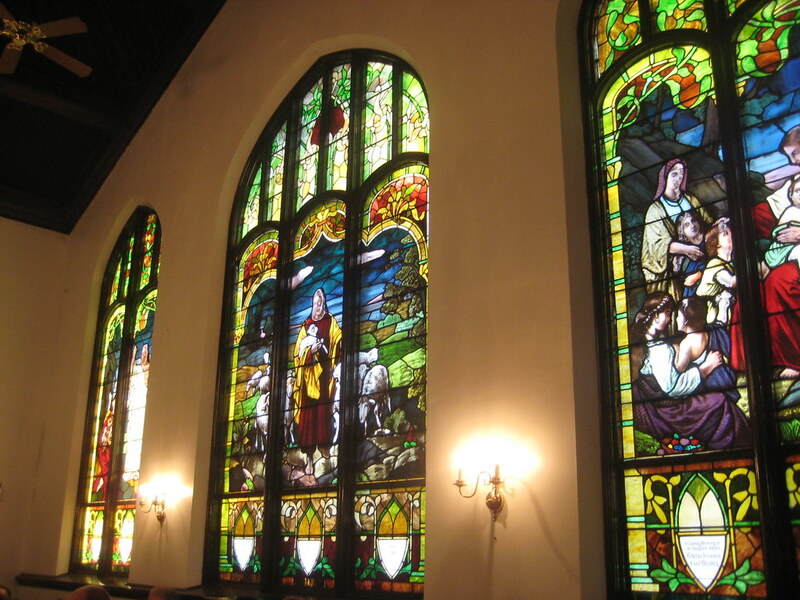 The meeting was held in the beautiful Calvary Christian Church the end of Gibson. 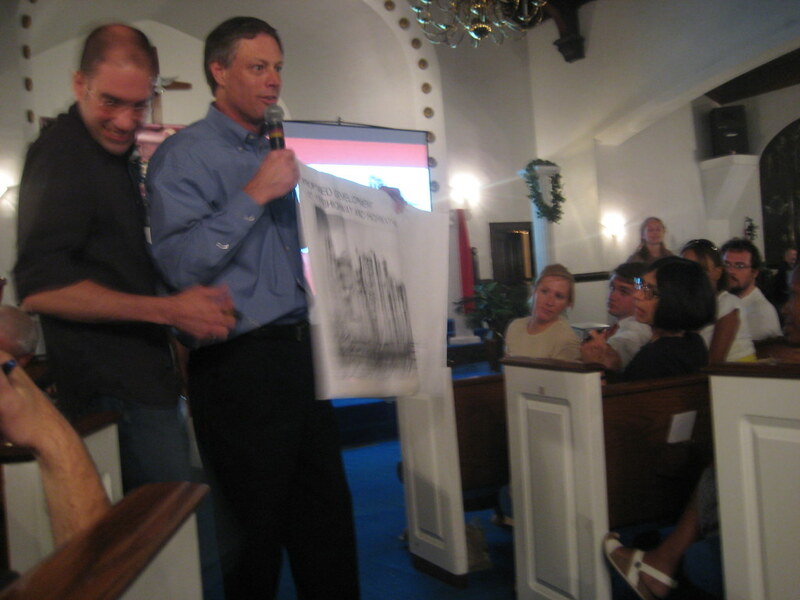 Under the plan presented, the church property would be acquired. 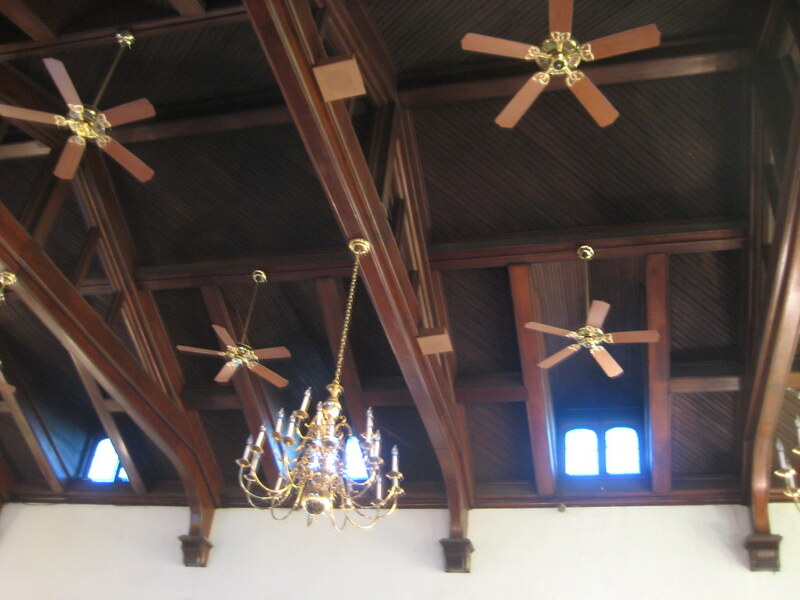 In keeping with Drury's laudable past preservation efforts Downtown, including saving the Fur Exchange as it had begun demolition, Charles Drury proposed that the church sanctuary would become the lobby of the second tower, which would contain nicer rooms. The church would apparently be raised off its foundation, moved aside, then placed back atop the new underground garage (not an inexpensive endeavor!). Timothy Drury held up a rendering of an earlier concept that has fortunately been scrapped that called for a single large continuous building creating a wall in front of the neighborhood. It kind of reminded me of a PoMo version of one of the Pruitt Iago towers. 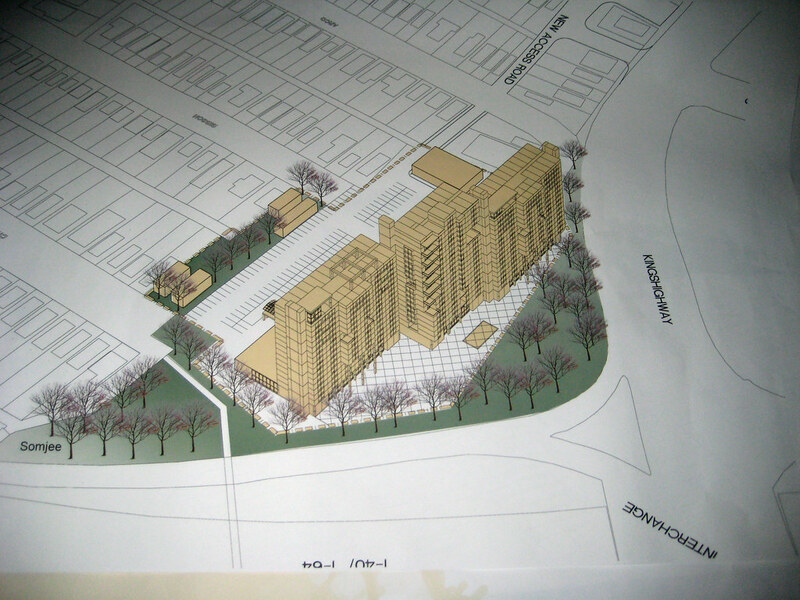 Another rendering of that plan is below. The triangle of green space is presumably the area MODOT has agreed to give back to Forest Park. The Drury's stated that it is very early in the development process, and they have traffic studies, City and MODOT negotiations and approvals yet to be had, as well as acquiring mush of the land. The is good, because the while the proposal would be a great investment in the City, it needs to be done in a manner that does not turn its back on the neighborhood. The site plan needs serious help, as it presently looks like a very unfriendly place to be on foot. Both the CWE and FPSE are great walkable areas, and you should feel comfortable walking to and from the hotel buildings to Forest Park, the hospital complex and the surrounding areas. The towers themselves also could possibly use some work, although the detail was difficult to make out on the screen. Trying to fake the architecture of the historic surroundings is probably not the best approach. A good cue could be taken from BJC's Center for Advanced Medicine that fronts Forest Park Blvd., which while possibly influenced by some past styles, is very much rooted in the present without being a ticky tacky piece of roadside architecture like Drury's recently opened Chesterfield hotel. The proposal though overall was better than I expected, and a good start. Apparently the West End Word published the wrong date for the meeting where Drury's hotel plan for Kingshighway and Oakland will be presented. It is tomorrow, Tuesday August 19th at 7pm - same location stated earlier, the church located at 1034 S. Kingshighway (at Gibson). A neighborhood resident who commented on my post made me aware of the error. 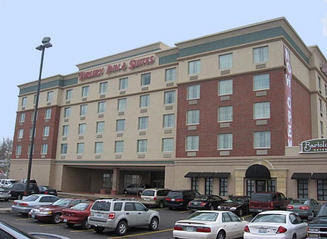 This weeks West End Word reports that Drury hotels is proposing a new hotel on Kingshighway at Oakland. 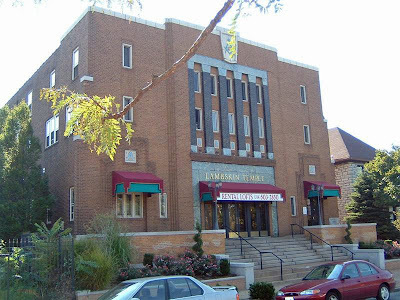 While the details have yet to be made public, the article reports that the historic Lambskin Temple, which was renovated several years ago as loft apartments could be demolished as part of the plan. Additionally, several houses and small apartment buildings in the area would likely be demolished as well. 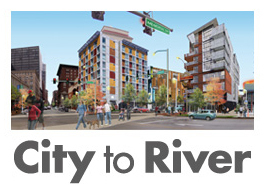 Drury Development has already begun knocking on peoples doors, offering to buy them out. While the idea of a hotel in this general location does make sense, and Drury has a great track record Downtown, with three unique hotels located in five renovated historic buildings, their recently completed hotel at Hampton and 44 does not inspire confidence about what might get built. The photo above (from their own website) of the new hotel shows a mostly Dryvit (fake stucco) building, that seems to be aspiring to be something it's not, in a suburban style sea of asphalt and cars. 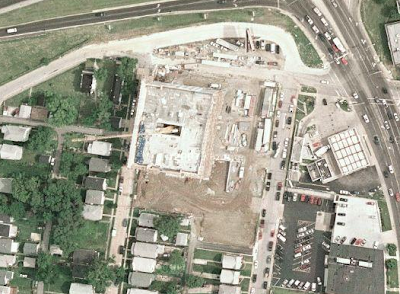 The aerial shot below shows an all to familiar scene in new construction with the building hugging the back of the lot and the surface parking lot taking the front seat This is why we need a new form-based zoning ordinance with build-to requirements. Ironically the view from Esther Avenue behind the building is actually quite urban... of course there is no entrance on this side of the building. Instead of tearing down an entire block of historic buildings, Drury should look to build on land that has been left over by the reconfiguration of the Kingshighway/40 interchange. Changing the design to a single point interchange, land is now available where the cloverleaf ramps were formerly located. 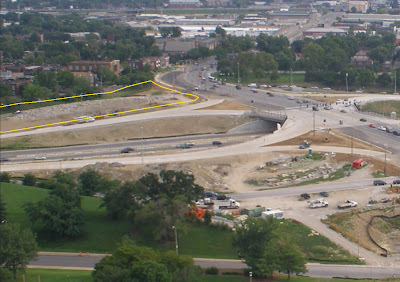 The land at the southeast corner of the interchange, shown below on a drawing from MODOT's website, could easily accommodate the new hotel development. The hotel would certainly be more visible from the highway as well, which would be good for business. The photo below from MODOT's webcam shows the newly available land south of the new eastbound entrance ramp. The Word article mentioned that the City has looked at this land for recreation use, but is that the best use for the land? 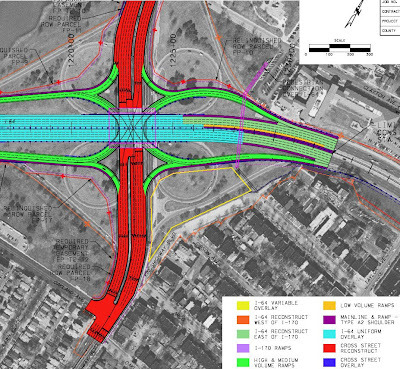 Would we really want recreation space right next to the highway? Please someone correct me if I'm wrong, but I thought the "replacement park" for the Hudlin playground was to be built off of Chouteau on or near the old Gasometer site? 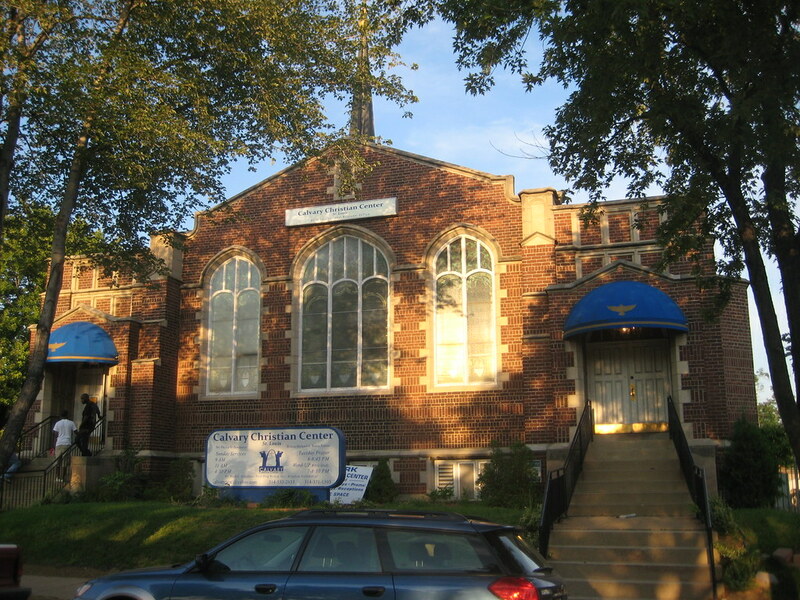 Drury will be presenting the current proposed plan and getting feedback from residents and other stakeholders at a meeting of the Gibson Heights Neighborhood Association at 7pm next Monday, August 18th at the Church of Living God located at 1034 S. Kingshighway Blvd just north of the Lambskin Temple. 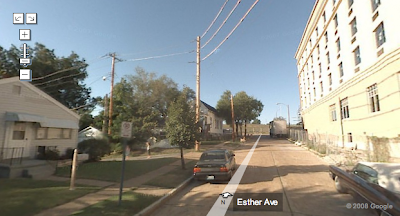 To get there, take Arco west from Taylor and loop around the end of the block to the church which is next to Gibson. This U shaped loop does not actually connect to Kingshighway.